14 Fuses, Two Flashers and Two Relays This fuse panel is circuited for power windows, power doors, and air conditioning. Plus, the radiator fan relay is already installed. 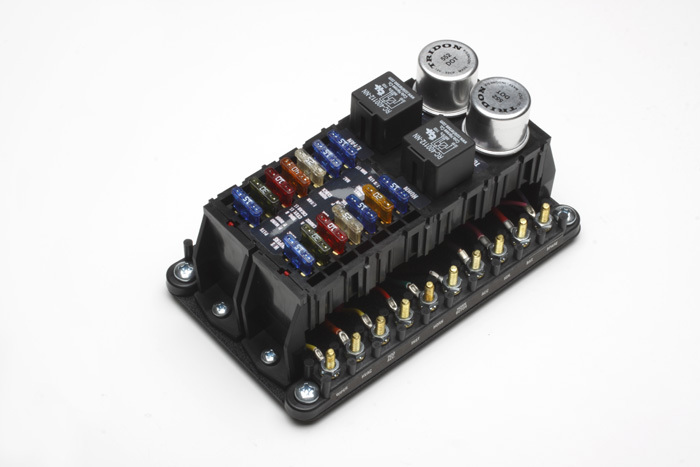 If your looking for a complete wiring system....we offer a Deluxe TA Wiring System. The Deluxe TA comes with the TA fuse panel AND labeled American Made wire. Check it out.